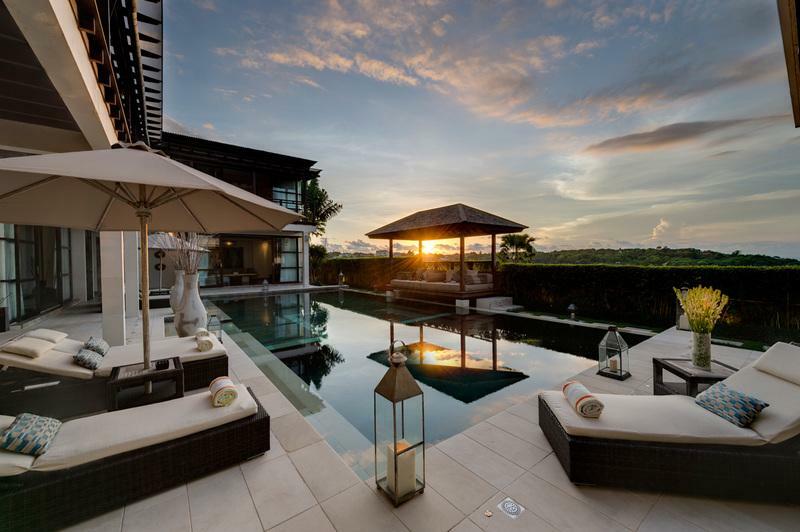 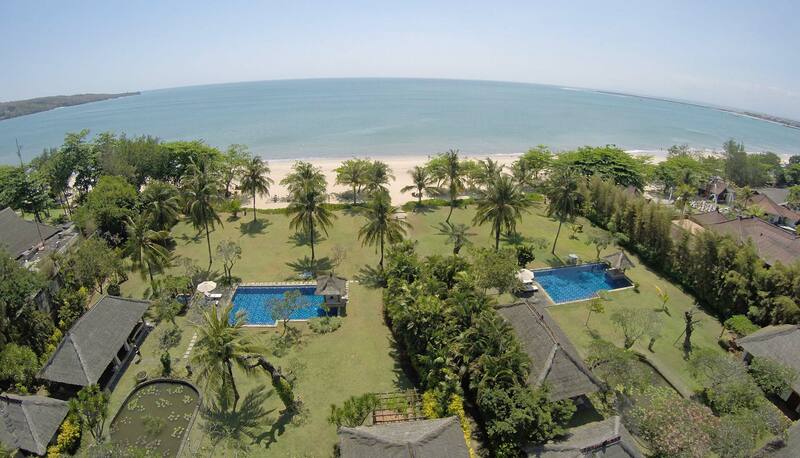 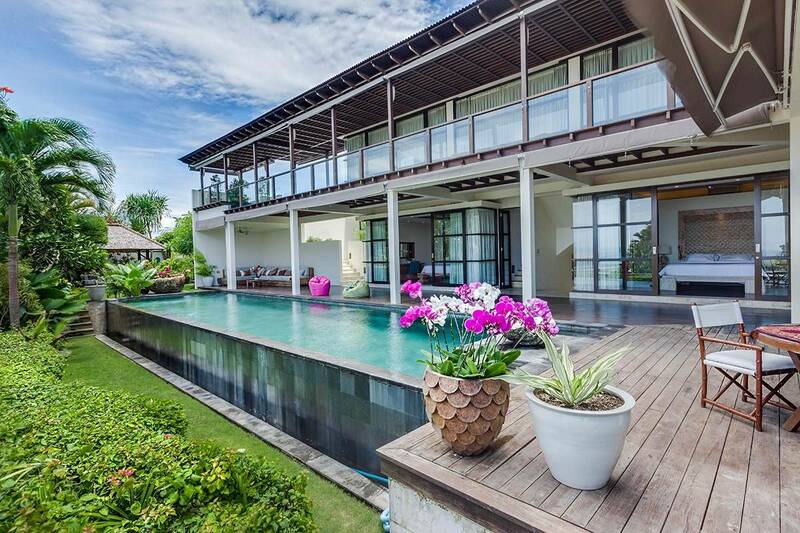 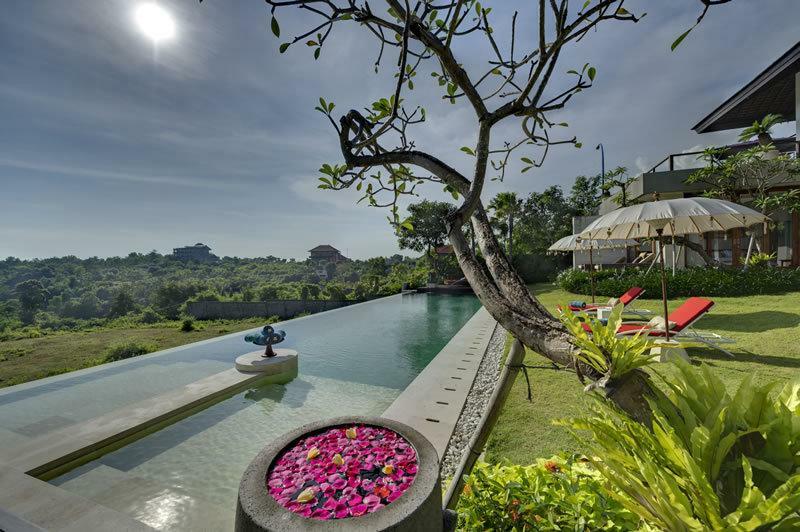 Perched high atop a hillside on Bali’s south coast, with sweeping views over the tranquil waters of Jimbaran Bay, sits this fabulous, four-bedroom, family friendly villa. 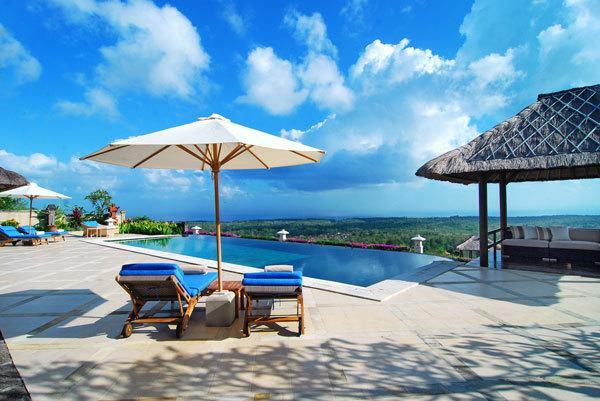 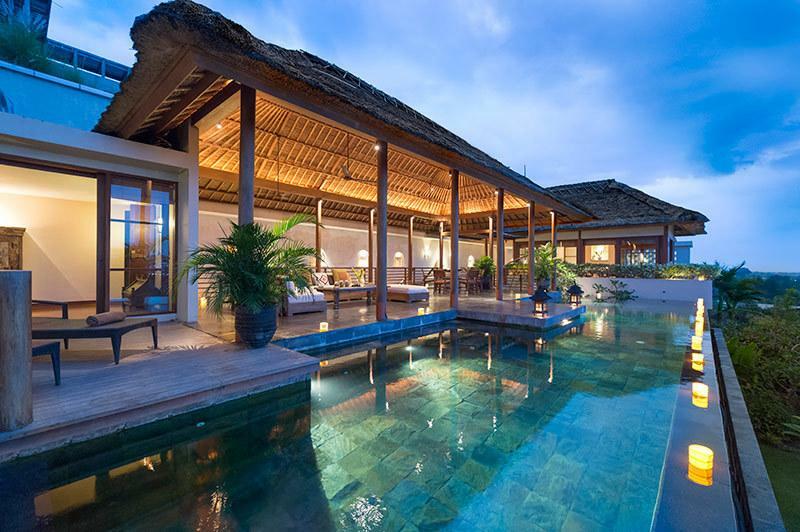 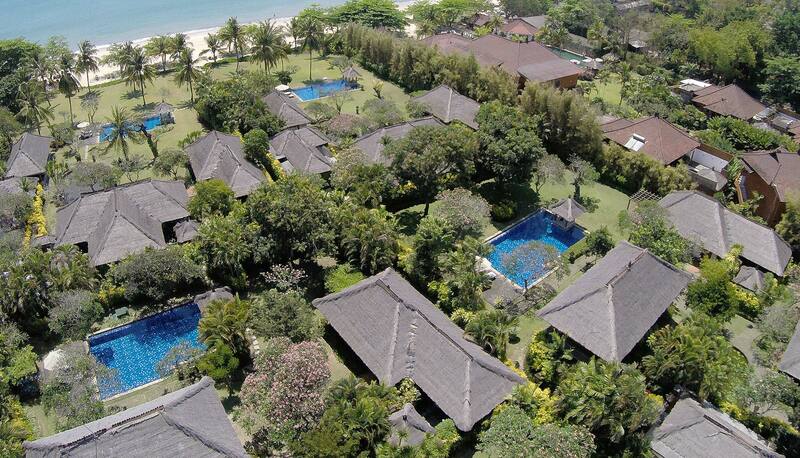 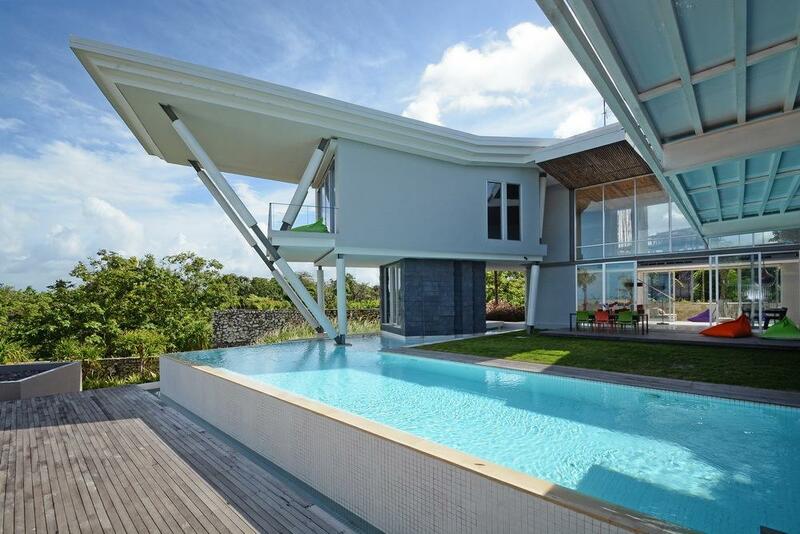 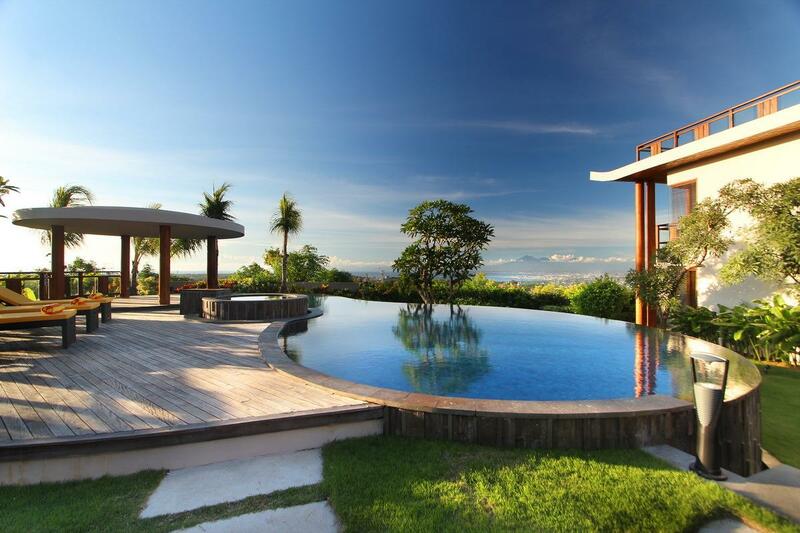 Villa 360 has a soft modern yet unique design and facing the Indian Ocean from any location, you may enjoy the ocean view and an astonishing sunset with impressive colors. 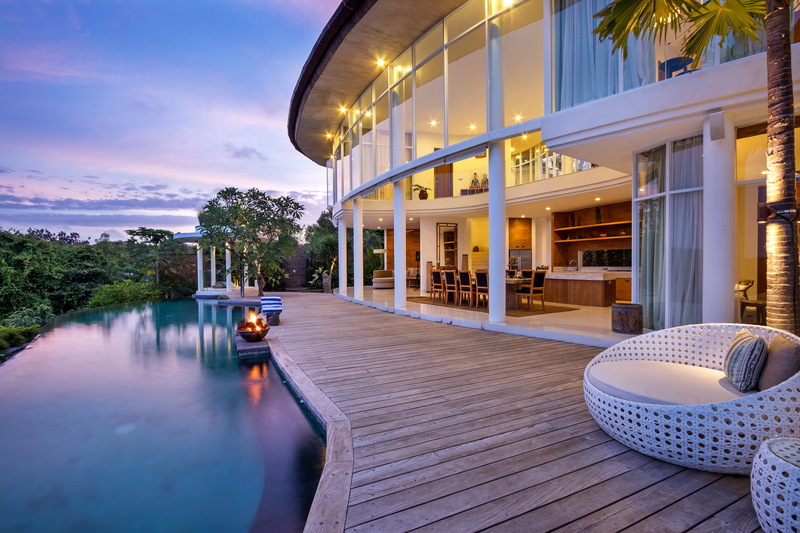 On entering the villa there is a circular driveway with a large water feature in the center. 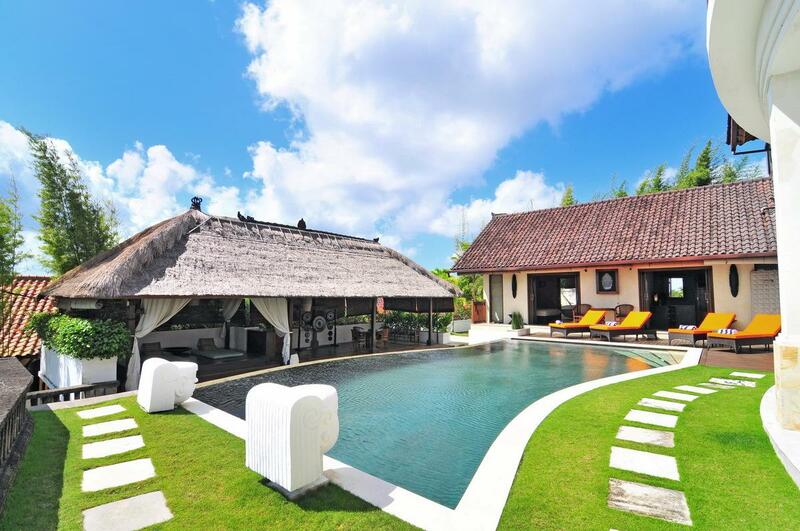 Spacious and luxurious this hideaway of three exclusive bedroom villas offer all the lavish accoutrements of a luxury managed villa.